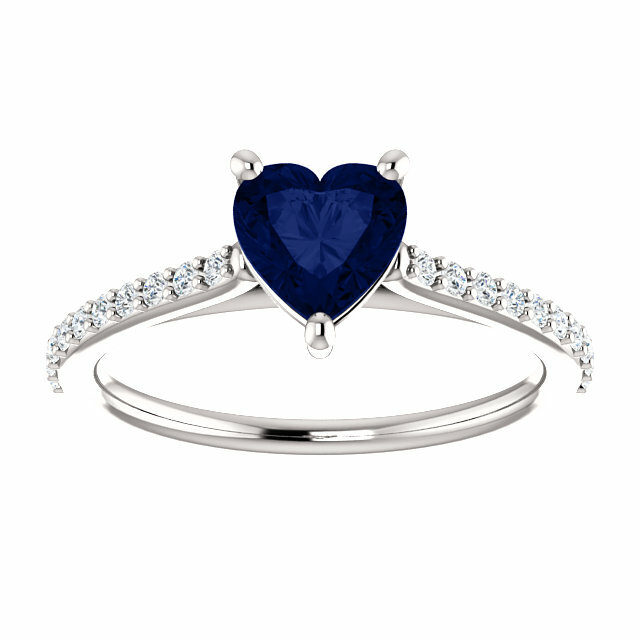 This incredible genuine blue sapphire heart-cut gemstone ring with real diamonds from Apples of Gold Jewelry will melt your heart! 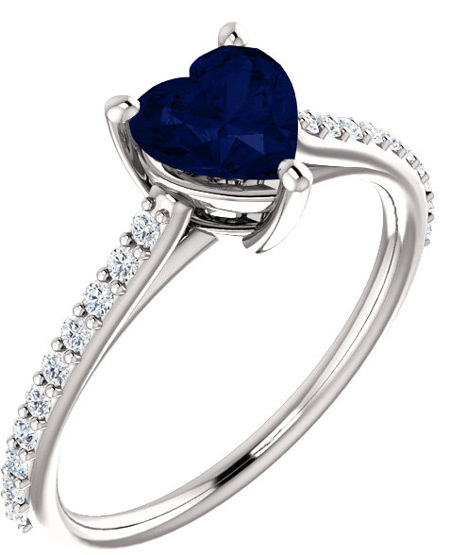 The velvet blue A rated sapphire stone is cut into a delicate heart shape that is fit for a princess! 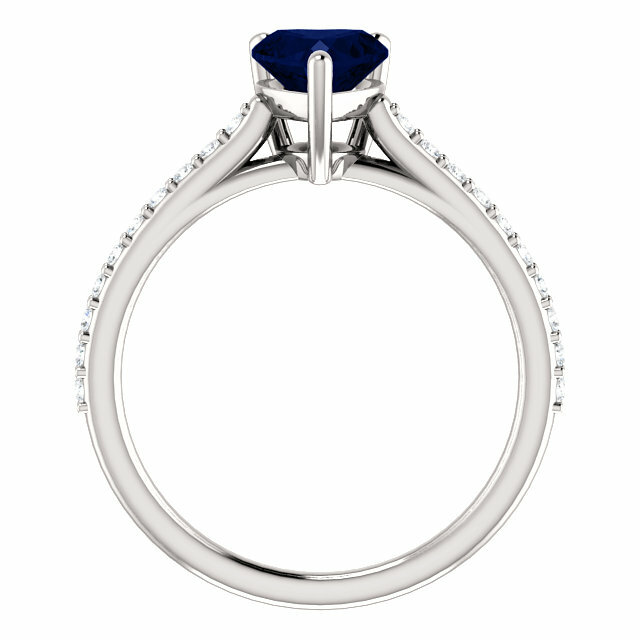 Available in 10k, 14k, or 18k white gold, or platinum, the gorgeous soft gold compliments the deep blue of the sapphire in a way that will leave you speechless! We guarantee our Velvet Blue Heart-Shaped Sapphire and 1/5 Carat Diamond Ring to be high quality, authentic jewelry, as described above.